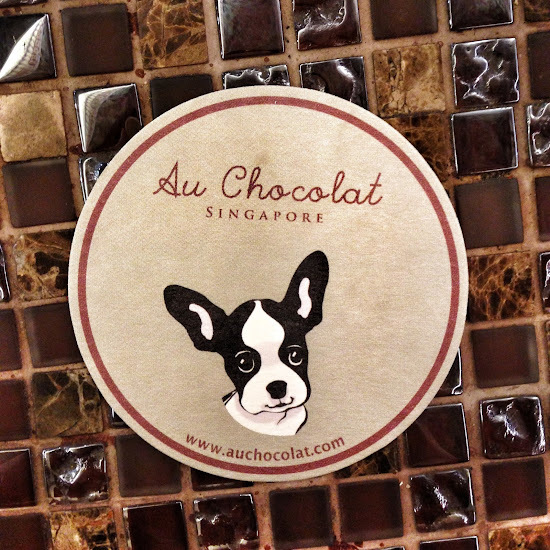 Au Chocolat is located on the first level, at a corner of The Shoppes of Marina Bay Sands. 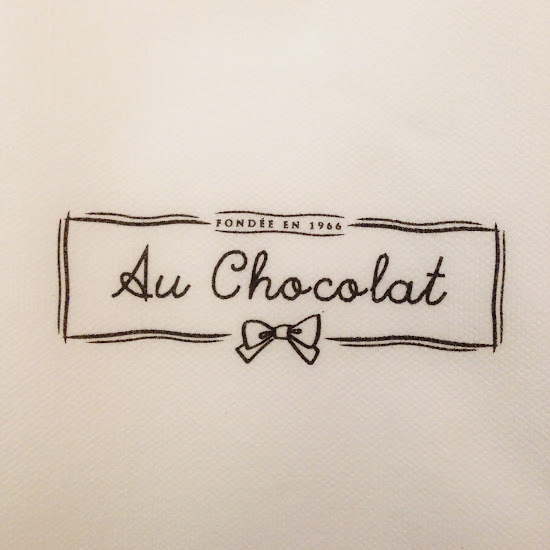 From the Bistro to pastries and chocolates to gifts and souvenirs, Au Chocolat spreads along that corner of MBS. What brought us here was the cute outlook of it. The pretty red signature ribbon and the cute characters. 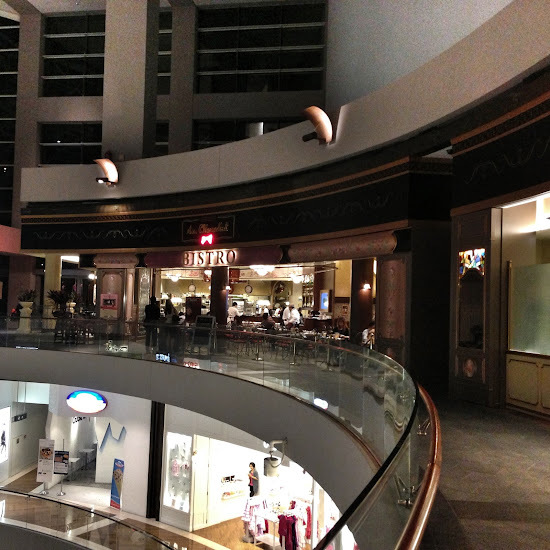 The bistro is located at the very end. The kitchen is in the same open area as the dining place. Our thoughts were that our hair will stink from the cooking smoke. 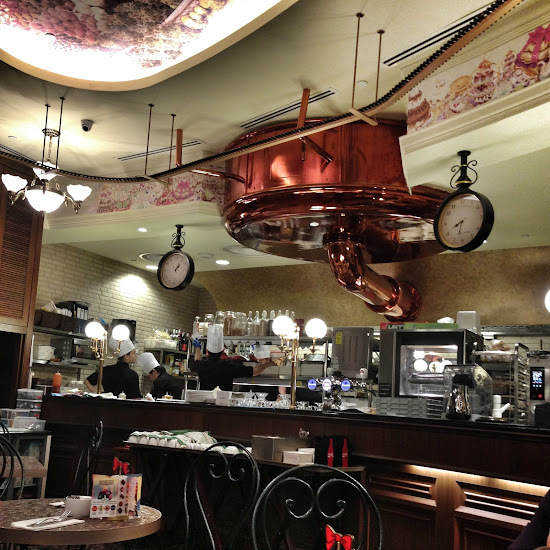 The place, from the ceiling, to the lights, wall, tables, chairs, the whole place looks very sweet. A place girls will like. 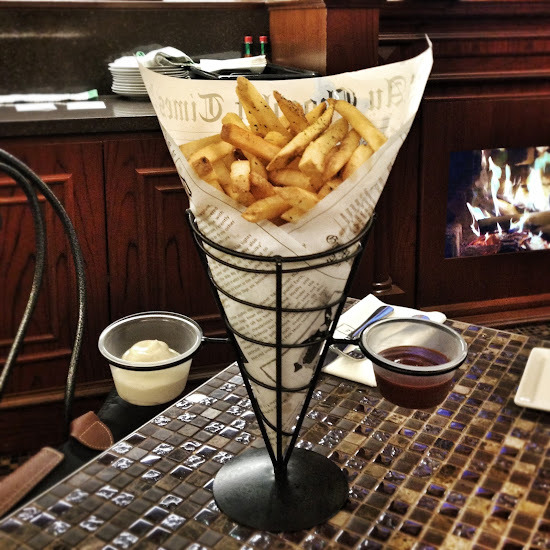 Truffle Fries - strips of crispy potatoes drizzled with fragrant white truffle oil & seasoned with truffle sea salt, served with mayonnaise & BBQ sauce. Both of us don't really like the taste or even the smell of it. It tastes and smells like burning plastic. But the serving is huge. Great for group sharing. Next time, we'll just order the normal fries at $12. 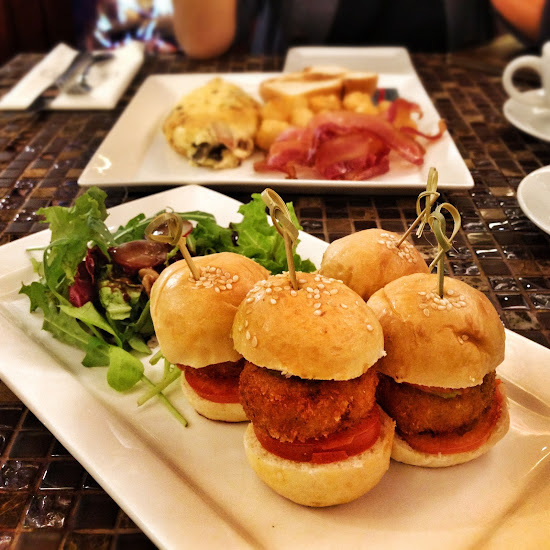 Handmade Mini Crab Cakes Slider - specially seasoned crab cakes made in-house with guacamole, tomato & caramelised banana ketchup sauce sandwiched between mini sesame coated burger bun. 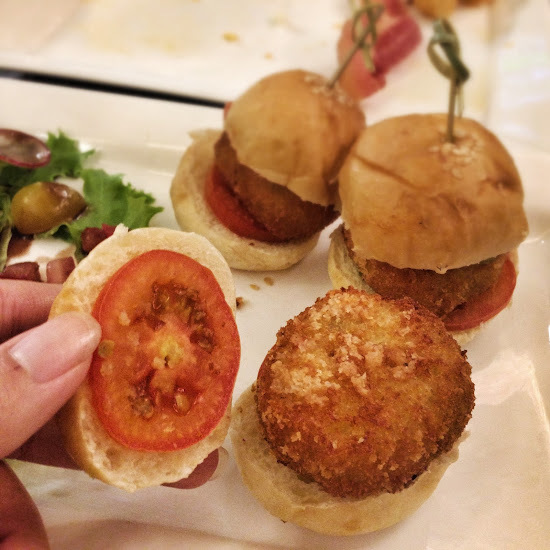 We love the texture of the crab cakes. When you eat, you can feel and see the strands of the crab meat. Not the minced crab meat. Yummy. But I'm not a fan of the sauce. Caramelised banana ketchup sauce? 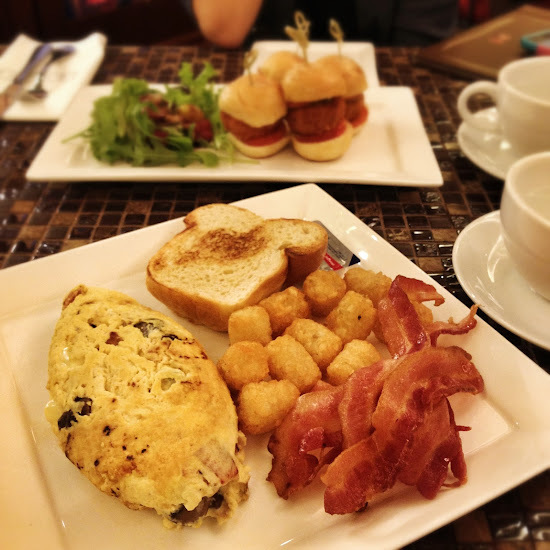 The Great Carnivore - ham, mushrooms & cheddar cheese sautéed with three eggs, cooked to perfection served with tater tots, crispy bacon strips & brioche bread. When it was served, I felt disappointed. Somehow, the outlook looks sad. It looks soooo normal. Taste normal too. Guess we should not have ordered this. The bacon strips feels overcooked. Too hard. There are two slices of tomato, caramelised banana ketchup in each. 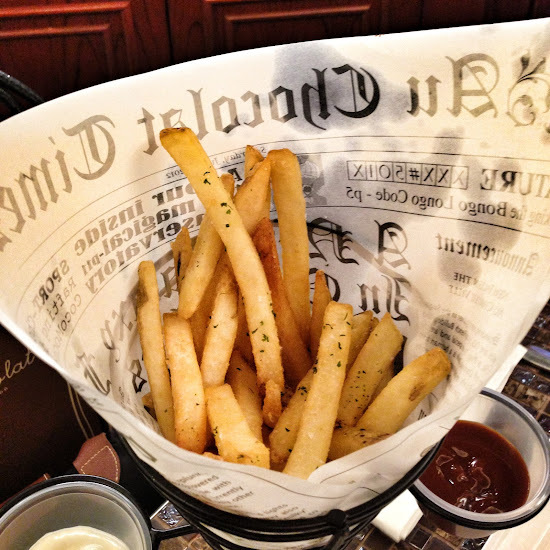 This is what is left of the Truffle Fries. We are unable to finish. Not even half of it.